It happens to all of us – we get nervous before a presentation and tend to forget some facts and important details we wanted to add. This is why it is helpful to resort to tools like the comments-function in PowerPoint. With this function you may add little notes or tips on your slides hidden from the audience. PowerPoint comments are a very practical tool. They can replace your index cards and help you structure your thoughts. You may, for example, find it very helpful to insert one key message per slide with the comments function. This way you can be sure not to forget the most crucial facts you wanted to convey. 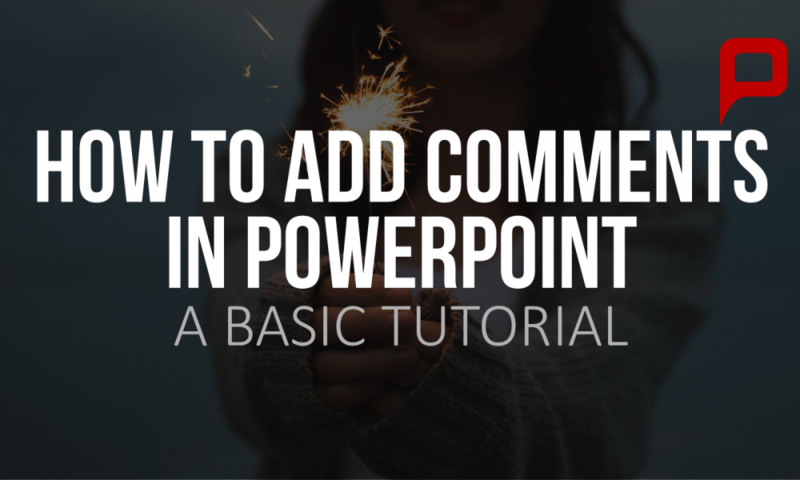 In comparison to the “Notes Page“-function in PowerPoint, comments offer various advantages: The comments can be placed anywhere you want to on your slides. This way you have a direct link to the graph/column on your slide and its matching comment. Also, you may print out your comments and add them to your handouts. 1) In PowerPoint, go to the tab “Review“. 2) In the subcategory “Comments“, please click on “New Comment“. 3) A new window will open automatically in which you can write your comment. 4) Now you may choose where you want to place this comment on your slide by dragging it to the place you require it to be. The window will open again, once you click on the symbol.